Appcelerator Titanium is a comprehensive solution for creating hybrid mobile applications. The framework makes use of Alloy that encourages rapid development of hybrid mobile apps. With over 800,000 developer registrations, the framework is being applauded for writing amazing apps in JS and runs them native anywhere. 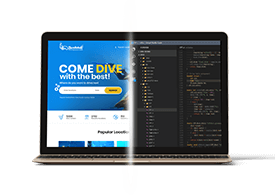 Completely packed with an extended range of mobile platforms API’s and cloud service, Titanium minimizes development time considerably by reducing the lines of code. When it comes to creating feature-rich, robust and intuitive HTML5 mobile apps, the competency and dynamism of Mobile Angular UI cannot be underprized. This framework combines the capabilities of Angular JS and Bootstrap to deliver an excellent and unique mobile experience. The framework is not only super easy to comprehend but also puts things into practice. One can easily get into the critical mobile components like switches, scrollable areas, sidebars and navbars to build high-class mobile experiences. 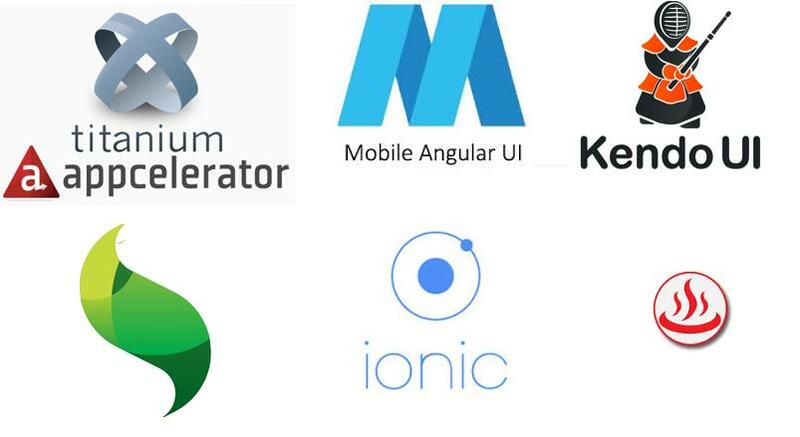 This framework does not have any jQuery dependencies, however, you need to have Angular JS directives for creating top-notch mobile user experiences. One of the extremely popular and used HTML5 frameworks, Sencha Touch stands out in the competition by designing apps that are compatible across several platforms. The framework features over 50 built-in components with unique and native looking themes for all the major mobile devices. It is quite easy and quick to deploy mobile applications using this framework because of smooth scrolling features, fluid animations and adaptive layout engine. Its robust data package adds more to the functionality and allows assembling data from any backend data source. All these features in combination make it the best choice for developers. An open-source framework for hybrid mobile app development, Ionic is much accepted for creating interactive and feature-rich apps. Being a useful cross-platform tool, it is created using web technologies like HTML5, CSS and Sass. Built on top of Angular JS and Apache Cordova, it provides a platform for integrating services like analytics and push notifications. Extremely simple to use, Onsen UI comes with a great documentation that includes examples and layouts to be worked with or without Angular JS. Mastering its performance, Onsen UI helps in delivering phenomenal user experiences across a myriad of devices and platforms. The process of app development with Onsen UI is quite easy and you don’t need to waste anytime. You can truly support both Android and iOS with the same source code. While talking about the development of extraordinary applications, Hybrid frameworks definitely steal the show. However, a little research is always required to design an app keeping your business objectives in mind. Hybrid app development is the best alternative to native mobile applications as it has the blend of all other frameworks to work with and create applications with engaging user interfaces.